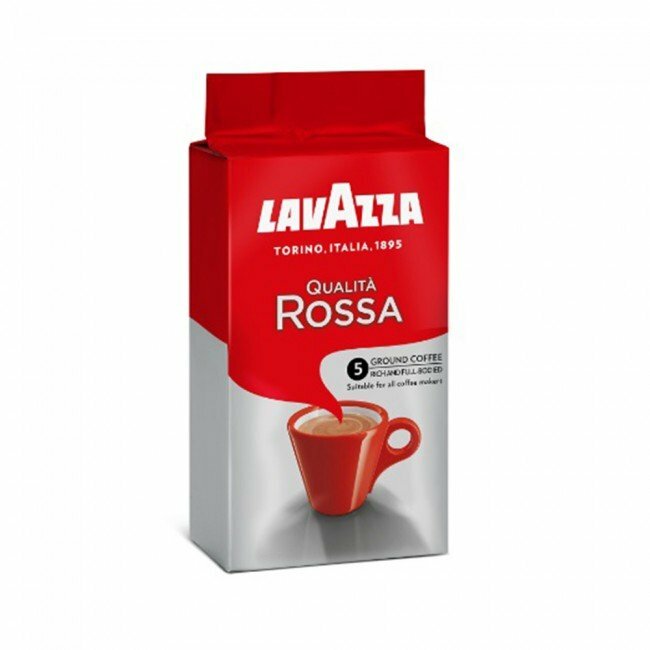 Lavazza Qualita Rossa Espresso is a full bodied espresso. The African Robusta coffee beans give it body and a chocolate aroma, while the natural Arabica from the Brazilian highlands contribute body and a mild aroma. Lavazza roasting brings it all together to create a velvety sensation for your palette. It is the perfect blend for breakfast because it goes well with milk-based drinks and is excellent with biscotti or other bakery goodies. Whether you brew your espresso shots short or long, Lavazza Espresso Bar's chocolate flavor and smooth body shine through in an excellent cup. Lavazza Qualita Rossa Espresso has a chocolaty crema and a full bodied taste.